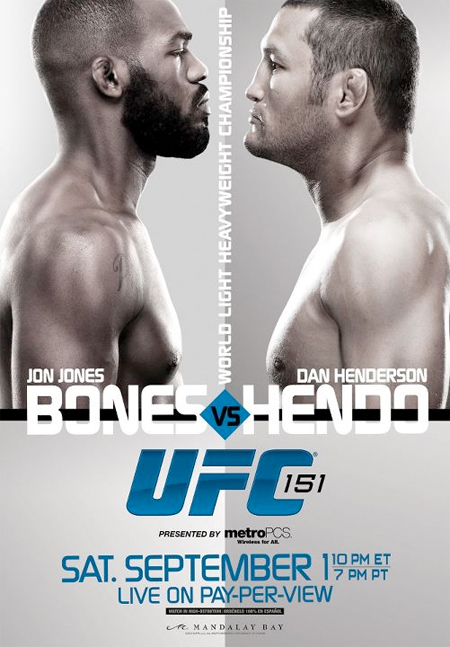 While the light heavyweight title tilt between champion Jon Jones and Dan Henderson is hoarding the UFC 151 headlines, there are 10 other bouts that will appear in the September 1st show. For starters, a welterweight affair with Jake Ellenberger and Jay Hieron serves as the night’s co-featured attraction. Mandalay Bay Events Center in Las Vegas, Nevada hosts the festivities. The UFC’s Facebook page kicks things off by streaming two prelims at approximately 7PM ET/4PM PT. FX will then air the remaining four preliminary bouts live starting at 8PM ET/5PM PT.